TL;DR MPs represent an area of the country in Parliament. They debate and vote on legislation, campaign on local and national issues, and assist members of the public with relevant issues. In the UK, citizens elect other citizens to represent their views and make decisions about how the country should be governed. This is known as representative democracy. The people that we elect are called Members of Parliament (MPs). They win their place in the Parliament by winning an election in an area of the country called a constituency – the citizens who voted for them are called constituents. MPs are usually members of a Political Party and must balance the various areas of their role. In the Parliament, this includes representing constituents, supporting the goals of their party, whether in government or in opposition, and working on issues that are important to them personally. MPs also split their time between working in Parliament to attend activities like voting and taking part in debates and in their constituency. Constituency casework is one of the most important areas of an MP’s role – a constituent approaches their MP with a personal issue and the MP attempts to resolve it. Constituency work takes up over half of the time of the average MP, according to Hansard. as an advocate for the constituency he or she represents. The MP can speak for the interests and concerns of constituents in Parliamentary debates and, if appropriate, intercede with Ministers on their behalf. The MP can speak either on behalf of the constituency as a whole, or to help individual constituents who are in difficulty (an MP represents all their constituents, whether or not the individual voted for them). Within the constituency an MP and his or her staff will seek to support individual constituents by getting information for them or working to resolve a problem. Have a formal role to play within their political party, for example, being a spokesperson, co-ordinating a campaign or advising the party leadership on a particular area of policy. A good MP will make a positive difference to the community he or she represents. An MP can express the concerns of their community to Parliament and ensure people’s experiences are recorded and understood. He or she can press for changes which will increase the community’s wellbeing and prosperity. An MP has the authority to bring different people and agencies together to address an awkward problem. When someone has to take on ‘the system’—perhaps to secure the right care package for a relative, or to correct a miscarriage of justice—an MP can often support them and help them through. An MP will bring their knowledge and understanding of their constituents’ lives, concerns and interests, as well as their own life experience, to bear on their work. It is important to recognise that a Member’s responsibilities rest jointly and concurrently at Westminster and in the constituency. It is a modern requirement of the job that a Member has an office in both places and there is a strong public expectation that when not required at Westminster, Members will actively participate in the life of the constituency, including at weekends. Hence it is important to recognise that both Westminster and their constituency are places of work for MPs. How do I learn more about my MP? Did you know? 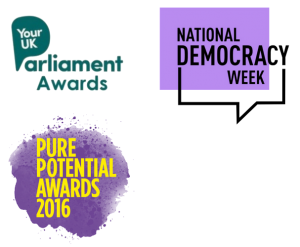 You can also use the TheyWorkForYou.com and the Parliament.uk website to find out exactly how your MP has voted in debates. Want to contact your MP? Asking them about their work in government or opposition. MPs are only able to help with matters for which the Parliament is responsible for. If you live in Scotland, Wales or Northern Ireland then members of your national parliament have to be contacted on devolved issues. Your local council can sometimes be a more appropriate organisation to contact on local issues. Find out more about Local Councils here. MPs are able to give help or advice and can raise your issue with another politician who may be more knowledgeable on the subject you are inquiring about. There have been many instances where a constituency issue has been raised in Parliament, during both debates and even Prime Minister’s Questions. Be patient when contacting your MP! They are very busy people and usually have around 90,000 other constituents to look after. Find out who your MP is now!